The visit of Deputy Crown Prince Mohammed bin Salman to Tokyo in August and September 2016 resulted in the beginning of the reconfiguration of Saudi–Japanese economic cooperation into one that responds to the goals of Vision 2030 and the National Transformation Program 2020. In recent years, the two states have been keen on transforming their energybased bilateral relationship into what they have referred to as a ‘strategic’ and ‘multi-layered’ relationship. 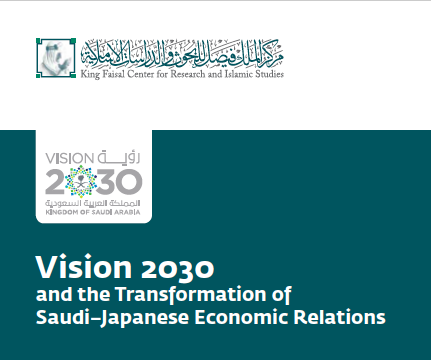 Today, as Saudi Arabia accelerates its efforts to achieve a transition to a post-oil economy, they have begun to cooperate on the creation of more diverse economic ties between them, through the newly formed Saudi– Japanese Vision 2030 Joint Group. Riyadh is aiming to develop new economic sectors such as renewable energy, tourism and entertainment, and the digital economy, as well as promoting localization of the energy and defense industries. Consequently, it expects investment in these sectors from the world’s third largest economy. Tokyo also desires to strengthen its cooperation with the largest oil supplier to its economy for the sake of energy security. Policy-makers from both states agree that human capital development is one of the key factors that will determine the outcomes of the efforts made by the two governments.